A Quick Start Guide to using the Photo Scanner app by Photomyne. 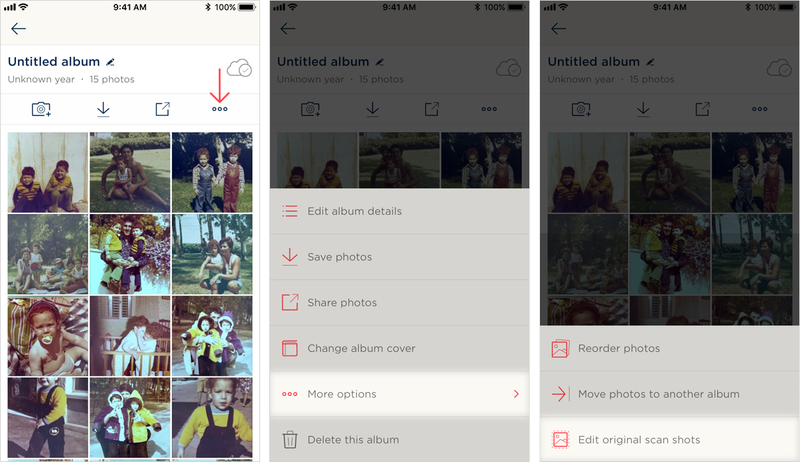 If using photo albums: Open the album page with the photos you’d like to scan. No need to take out photos or remove the sleeve protectors. 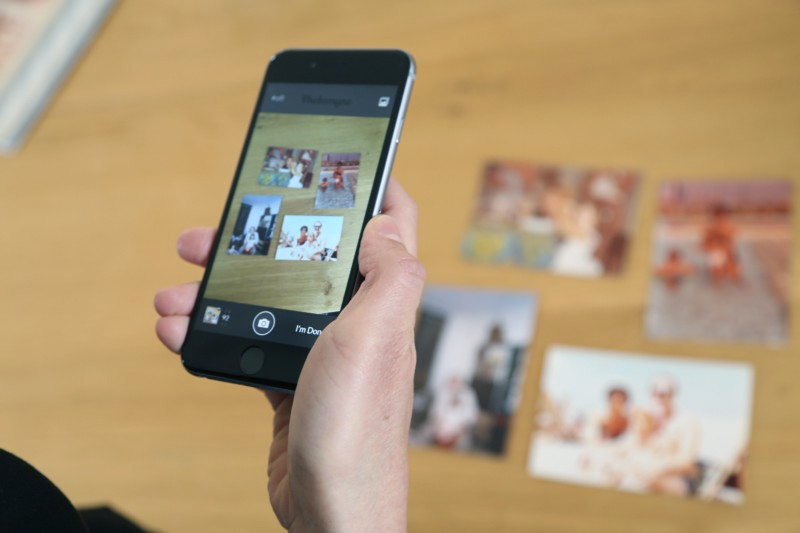 If using individual photos: Group scattered photos together in batches of 2–4 photos on a table or a smooth surface. Place camera directly above the photos, tap the camera icon and hold until the circle on your screen becomes full, then release. Take multiple shots until you finish capturing the photos you want. Add details => Tap the album’s title- Untitled album (tap to edit). 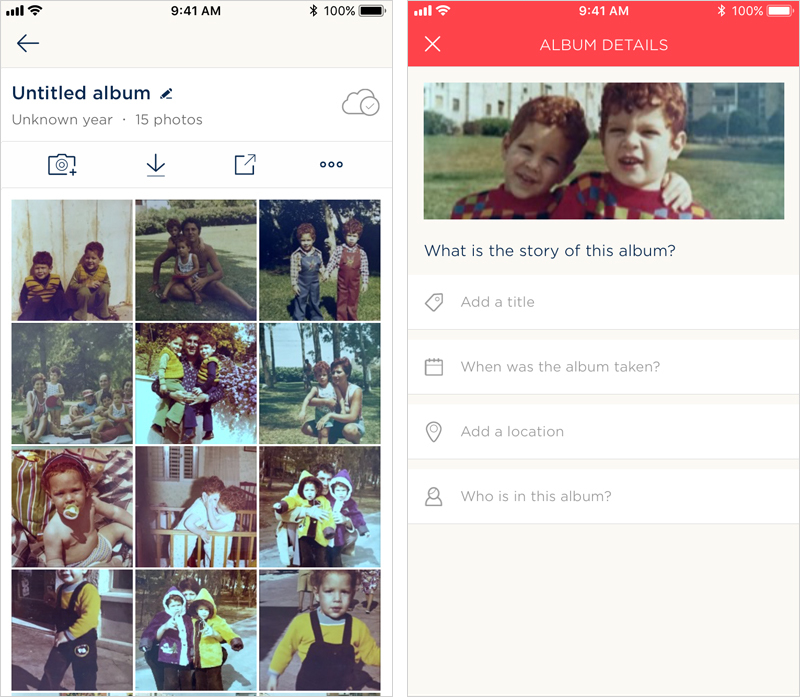 Once you see the album’s edit screen you can add details such as names, location, year and also add a description/title. Review original scan shots => See a photo you want to manually edit? Did the app miss one of the photos in the scans? You can easily and quickly fix that. 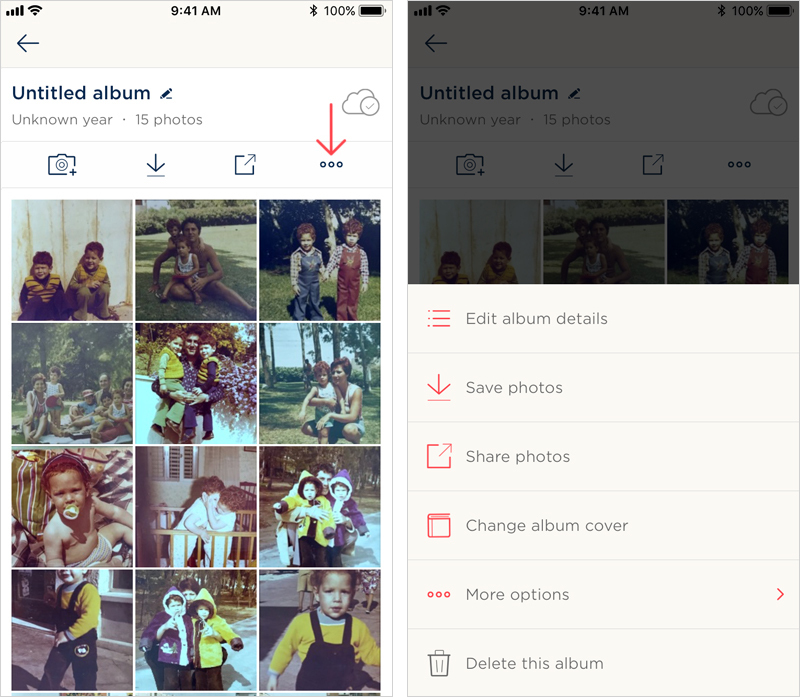 Tap the album’s 3-dot options icon on the top-right, and select More options. Next, select View original scan shots. For more information on viewing and editing your original shots, please consult this short guide. Add photos => Ready to scan more photos and add them to this album? 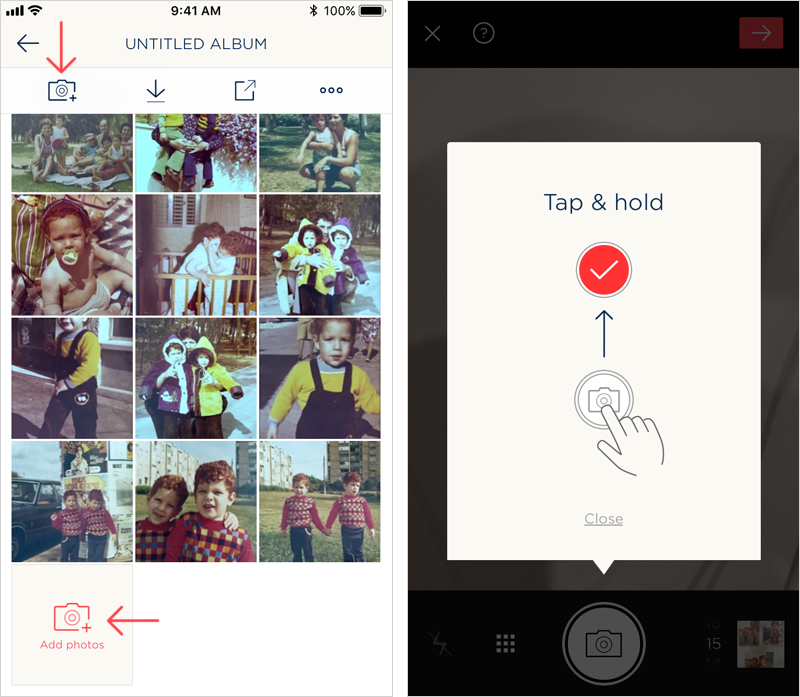 Simply scroll down to the last photo in the album, and then tap the Add photos camera icon. This will take you back to the scanning screen. Finished creating an album? Great! You can now browse it and explore the different things you can do with it. 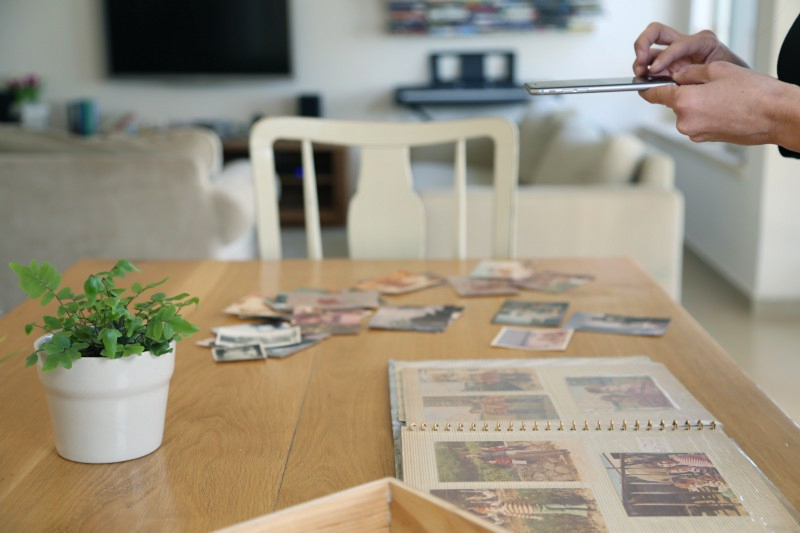 Some of the options include reordering photos, saving photos to your device’s camera roll, sharing them on Facebook, email or messaging app on your device, and adding new photos to the album you just created. Another thing to keep in mind is that you can always manually edit the photos to further refine the cropping and colors. 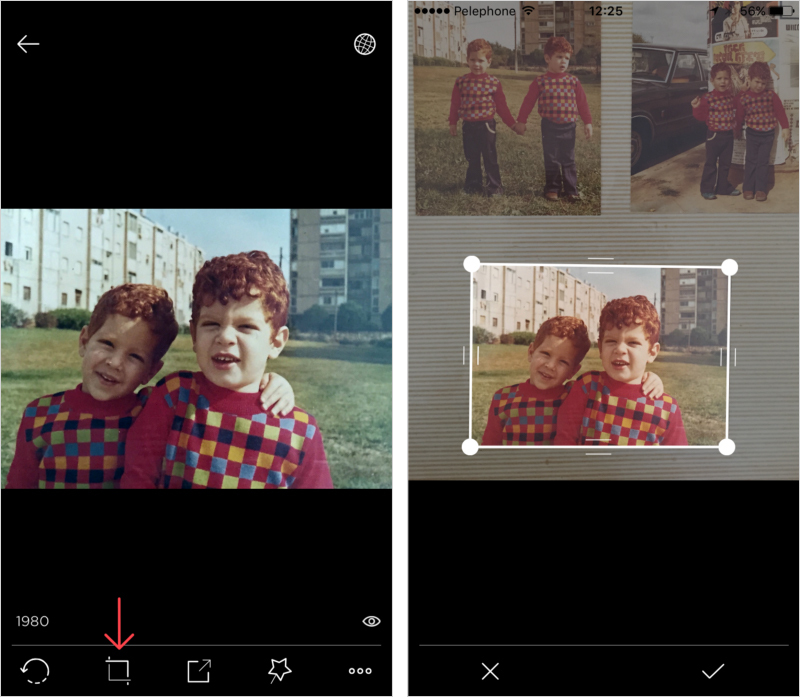 Tap the different icons on the bottom of the photo screen to rotate, crop, or apply filters to color-correct the photo. 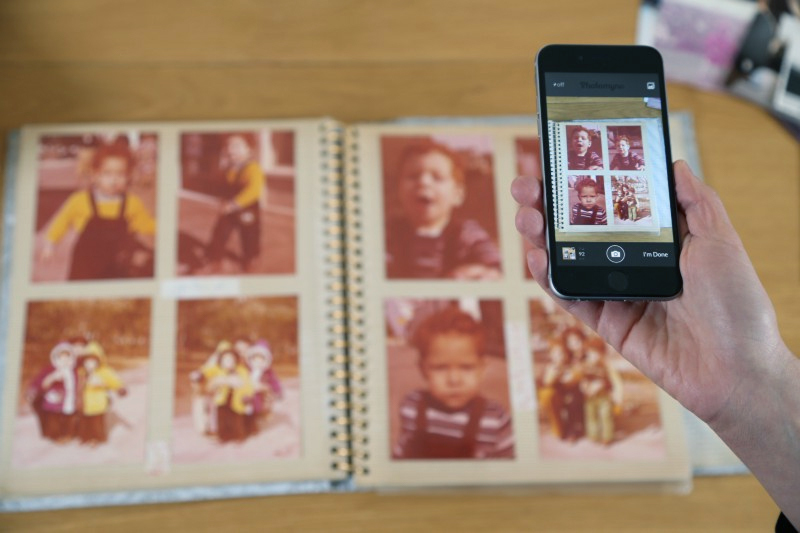 We hope you enjoy using Photomyne’s photo scanner app to scan your photo albums and to bring great memories of your past back to life. How do I manually correct my scanned photos? 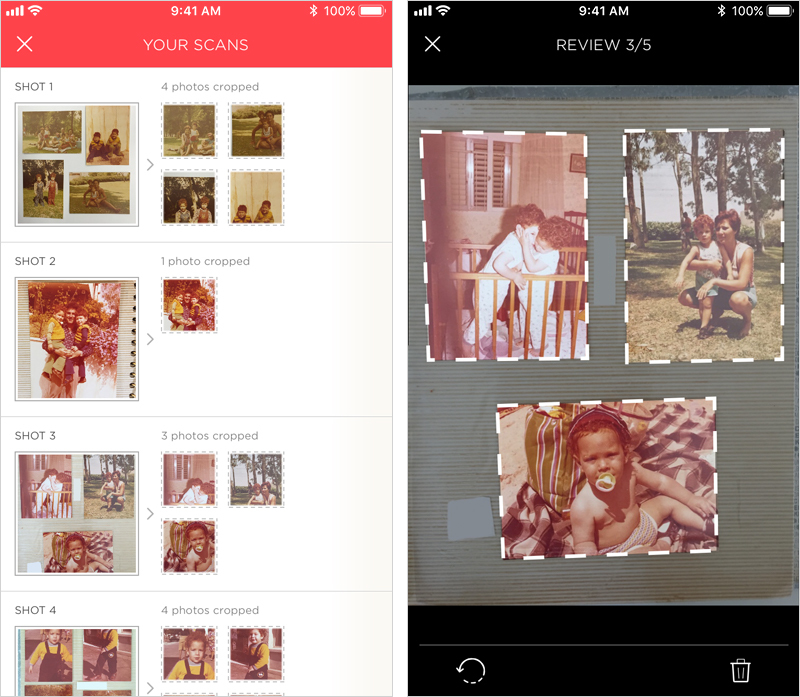 How do I save photos scanned with Photomyne’s Photo Scanner app? I have the Photo Scanner app on one device. Can I use it on other devices as well?